Juilliard trained harpist Dr. Christine Vivona will dazzle you! Christine is equally comfortable in classical, jazz or popular music. Christine delights audiences with spectacular style and elegance, creating lasting memories. Whether it’s Ave Maria, Debussy’s Clair de lune, a Joplin rag, In the Mood, It Had To Be You, a blues tune, an Andrew Lloyd Webber showstopper or the latest popular hit, Christine can play them all! She lends a touch of class to any sort of event, from weddings to parties to corporate events. 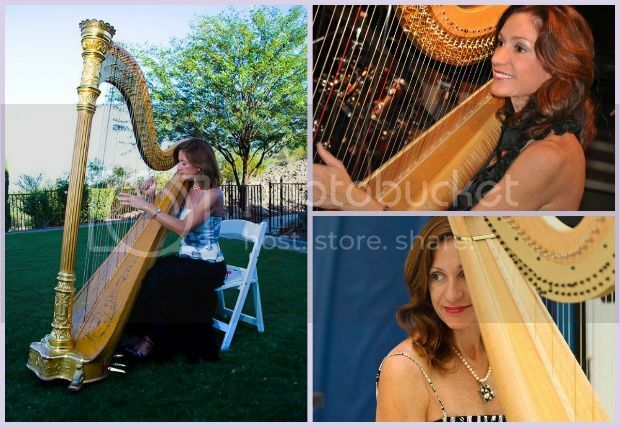 Award winning Harpist Dr. Christine Vivona received a Master of Music from the prestigious Juilliard School and a Doctorate in Harp Performance from the University of Arizona. Dr. Vivona has held the position of 2nd harp with the Tucson Symphony since 1986. Christine is a delightful and versatile recording artist who is comfortable in classical, jazz and popular settings for concerts, conventions, parties and weddings. Christine has performed on Columbia Artist Community Concert Tours, the Tucson and Phoenix symphonies, the Arizona Commission on the Arts, Chaminade and Bisbee concert series. Christine has been an entertainer on various cruise ships throughout the world. Dr. Vivona is in demand as a recording artist both as soloist and accompanist. Her own CDs Radiance and Red Hot and Blue receive international airtime on both classical and jazz radio. The CDs she is on for other artists (Linda Ronstadt and Nils Lofgren to name some) and her flute and harp CD, Women in Black with Sandy Schwoebel, receive international airplay. Vivona has performed with many celebrities including Leonard Bernstein, Sir George Solti, Bernadette Peters, Ray Charles, Johnny Mathis, The Moody Blues, Christopher Cross, Roberta Flack, Al Jarreau, Tricia Yearwood and Linda Ronstadt to name some. Christine frequently performs both solo and ensemble classical and jazz programs for concert series and varied venues throughout Arizona. These include appearing as a special guest at the Chandler Jazz Festival in November 2009, premiering a Steven Paulus work commissioned by the Tucson Chamber Artists, performing for this vocal ensemble as well as many other groups in the Southwest. Christine is a regular feature in many fundraising events such as the Sugar Plum Tea by Ballet Arizona. She performed for the Arizona Theater Company production of The Fantasticks in addition to touring Broadway productions in Phoenix and in Tucson. 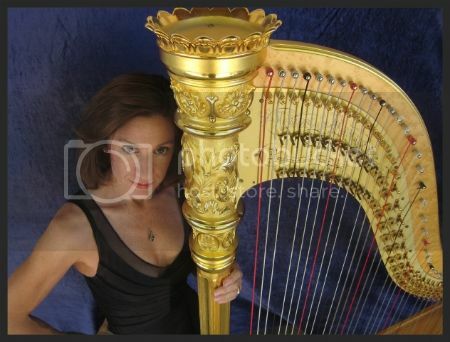 Christine has also performed at the American Harp Society National Conventions. Christine currently plays at the Westward Look Gold restaurant and the Canyon Ranch and has played at the Ranchers Club, the Ventana Room, the Sunday Brunch for the El Conquistador Resort and La Paloma Country Club. Christine has a large teaching studio in Tucson and performs with her students several times throughout the year. She started the harp program at Arizona State University in Tempe in the fall of 1989 and taught there until Spring 2000. She lives in Tucson with her musician husband, Rob Boone, and musical sons Jesse and Cory. Vivona can be heard several times a week playing classical, jazz and popular selections.